You are here: Home / Learn / Blog / Is it a good time to bring your U.S. 401(k) or IRA to Canada? 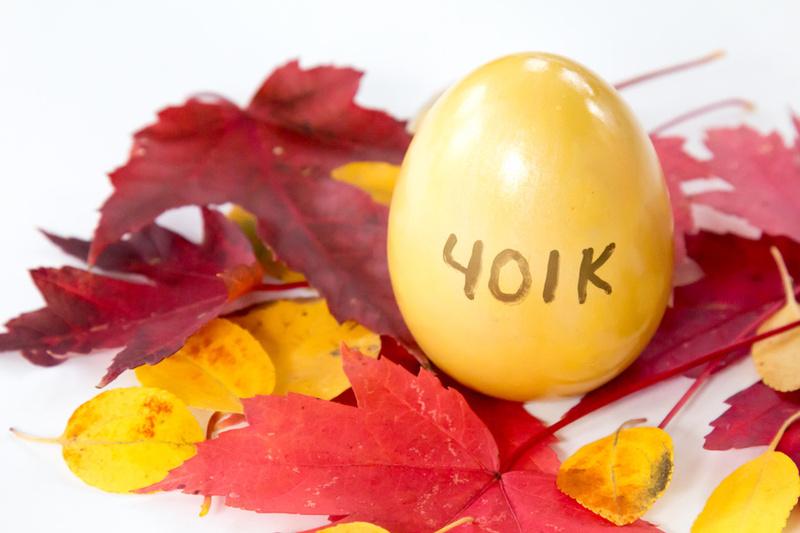 Is it a good time to bring your U.S. 401(k) or IRA to Canada? Three years ago, I wrote an article on the mechanics of transferring one’s U.S. retirement plan into a Canadian RRSP. The article was very well received – thank you to everyone who expressed interest and responded! I thought I would write a follow-up piece, as something very substantial has changed since my original article was written; namely, the Canadian /U.S. dollar exchange rate. Capitalizing on a more favourable exchange rate can be very beneficial; however, there are a few things that one needs to be aware of before acting on these types of cross-border transfers. Three years ago, the Canadian and U.S. dollars were much closer to par. Specifically, in September of 2013, one U.S. dollar would buy you approximately $1.03 CAD. My original article had that exchange rate in mind. Things have changed. One U.S. dollar now buys you approximately $1.33 CAD – that’s a 29% increase over the three years. A change that large has altered the thinking of many people who hold U.S. accounts, especially those who live (and plan to stay) here in Canada. Consider the following example. Imagine a world where the dollar was trading at par. A $500,000 USD 401(k) plan (or IRA) could equate to a $500,000 CAD RRSP, assuming you could trigger the cross-border rollover on a tax-neutral basis, as discussed in my previous article. Now imagine today’s world, where a $500,000 USD 401(k) or IRA could equate to a $650,000 RRSP. That’s a $150,000 increase in Canadian dollar ‘value’ ($650,000 CAD – $500,000), before factoring in any market appreciation, dividends, or interest earned in the portfolio, which is quite a difference. That sort of move in the exchange rate can make the transfer more attractive for individuals who plan to retire in Canada, and spend their retirement savings in Canadian dollars. As mentioned above, making sure that you conduct a cross-border 401(k)/IRA transfer into an RRSP in a tax-efficient way – and at a tax-efficient time – is still an important consideration. But the exchange rate has moved so dramatically, one might be prepared to sustain a slight foreign tax credit loss (in other words, tax inefficiency) in order to lock in such a favourable exchange rate. That said, and I cannot stress the importance of this enough, the above-noted types of transfers should not be made in spite of your overall asset allocation. In other words, you should not simply move funds across the border without considering the geographic and currency-based diversification in your portfolio. For example, it makes no sense to exchange non-currency hedged U.S. securities trading in the United States, for non-currency hedged securities trading here in Canada, irrespective of what currency those securities are denominated in – especially if you are sustaining any foreign tax credit inefficiency. Those securities will still carry FX exposure, even if they trade on Canadian exchanges. On the other hand, if you were to re-allocate U.S. securities that trade and are denominated in the United States (i.e., U.S. equities) for Canadian securities that trade and are denominated in Canada (i.e., Canadian equities), and doing so as part of a proper and more fitting asset allocation strategy, then capitalizing on today’s exchange rate makes a lot of sense. No one knows where the dollar will go from here (although it wouldn’t be a stretch to suggest it will continue to move in lockstep with commodity prices); however, the USD is still trading with the Canadian dollar at approximately 10% higher than it has traded historically. Depending on which era you look at, the historic exchange rate is approximately $0.82 CAD/USD – where one U.S. dollar buys approximately $1.21 CAD, so we’re still well above that. In short, it is a much better time to convert U.S. securities, or even US dollars into Canadian securities, or even Canadian dollars than it was three years ago. Food for thought! https://www.tewealth.com/wp-content/uploads/2017/02/401K-gold-egg-on-maple-leaves1.jpg 566 849 Soucie, Vice President & Financial Consultant https://www.tewealth.com/wp-content/uploads/2018/08/tewealth.com-ID-rgb-1030x473.jpg Soucie, Vice President & Financial Consultant2017-02-13 19:38:352017-02-13 19:57:55Is it a good time to bring your U.S. 401(k) or IRA to Canada?